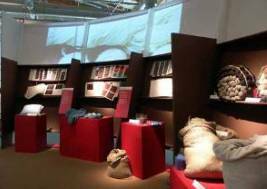 Mostra dell'Artigianato - FLORENCE LIVE! Tradition and innovation, pursuing high quality: this is the idea that has always inspired the International Handicraft Fair, ART, and that has enabled this event to celebrate this very year the prestigious target of the 71th exhibition. ART is the shop-window and the market for the unique products of handicraft, coming from Tuscany and from other places as well, which are being shown at the Fortezza da Basso in the spaces of the eight sectors the exhibition is divided into. 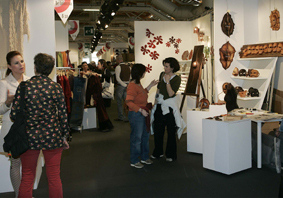 During these years, Firenze Fiera has worked with its partners – in particular with the Region of Tuscany – in full agreement, with the aim of making the International Handicraft Fair a top quality event, fully persuaded that in a globalised market the places where diversification, quality, tradition, skill can be observed, are the ones especially appealing. 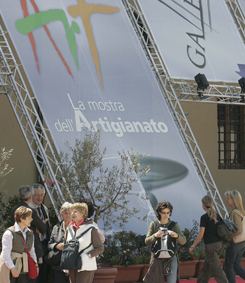 All this is confirmed by over 700 exhibitors coming from the five continents, and taking part into ART 2007. These data should be regarded as extremely significant, especially in a period where the handicraft sector, and economy as a whole, are marked by positive trends, but by negative sides as well.